Rigid denim shirt | Forever Classic Apparel Co. 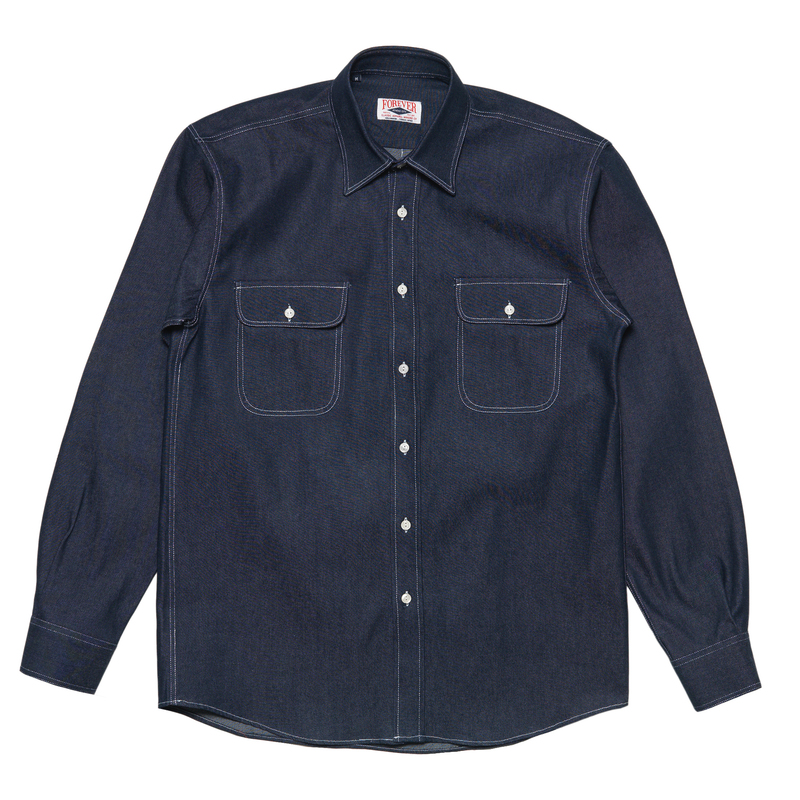 Rigid denim shirt made in Athens with single needle stitching throughout. It is made with a 130z heavy weight total rigid greek denim and it features two chest pocket and a generous cut.